Call it vintage charm or vintage chic as you will, the style of this room is warm, inviting and classic. 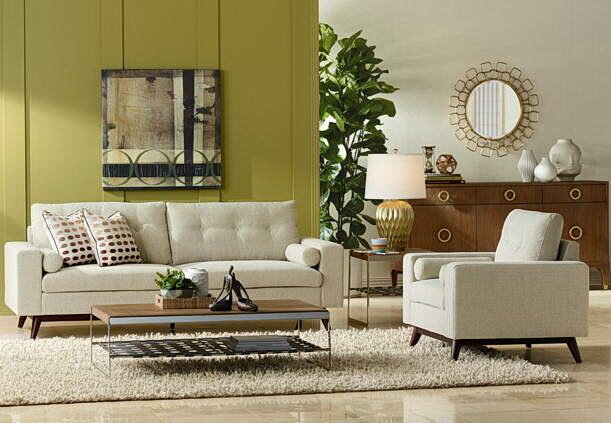 It begins with the vintage-inspired furniture, like the large tufted sofa at the center. Tables in the same color tone as the sofa keep the room balanced, while crystal lighting adds sparkle both at day and at night. 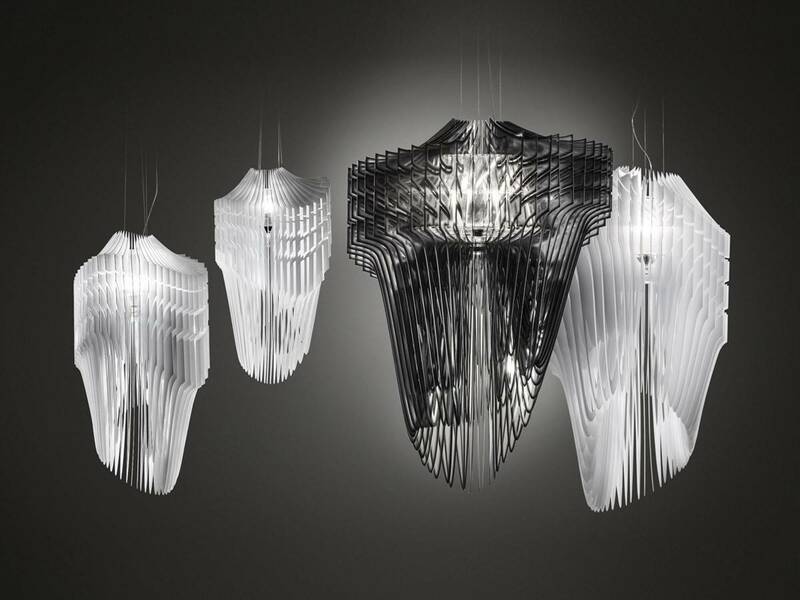 Browse our chandelier collection for more luxurious designs in crystal. 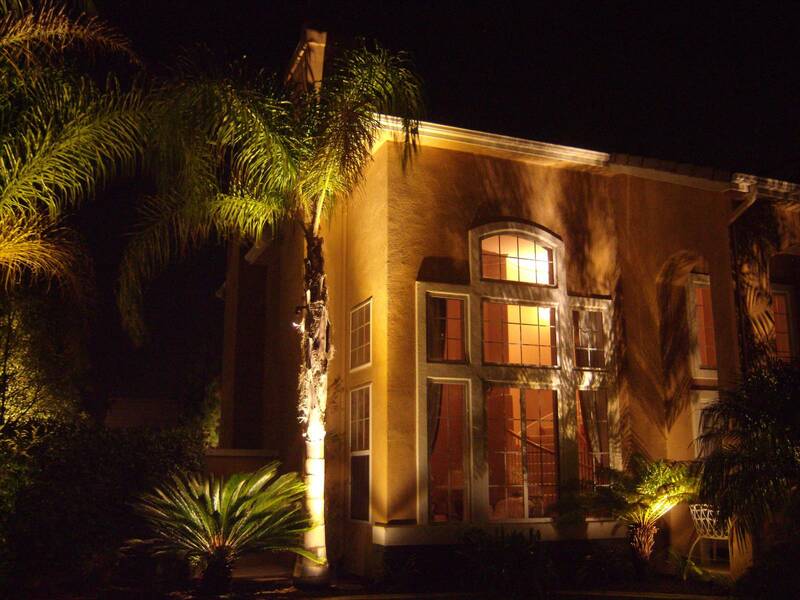 We love the timeless tradition of Italian decorating, which marries old world charm with grand gestures and flourishes. This room has it all, from a glittering chandelier with tiers of crystal baubles to sunburst wall mirrors and luxuriously comfortable seating with fringe and carved wood details. 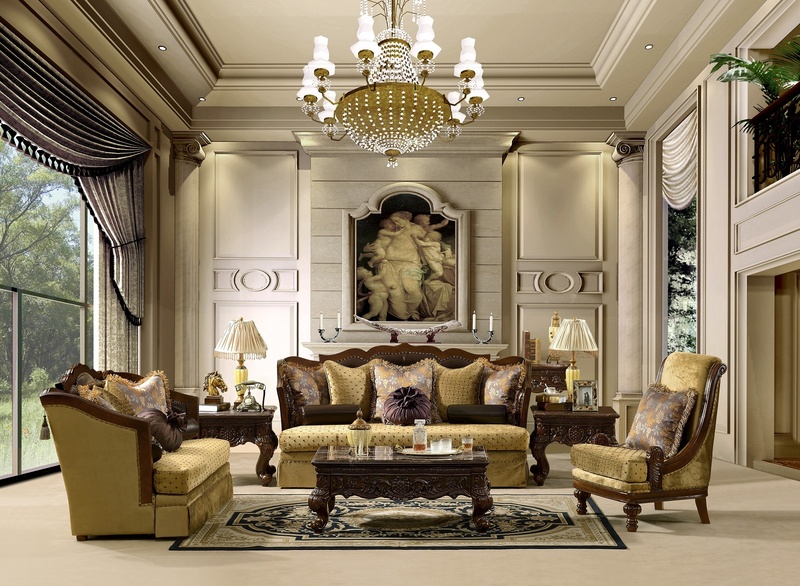 It’s an enchanting design style that’s opulent and enchanting at the same time. 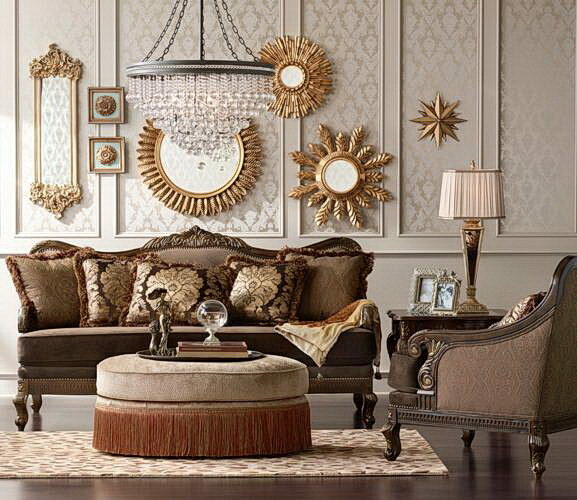 A living room sure to be talked about, and one we love for its beautiful glitz and glamour. Dressed up for the holidays, the centerpiece of the room is a modern sofa bed in black. Clear glass lighting from the Vala floor lamp and the multi-light pendant shine light on the scene. 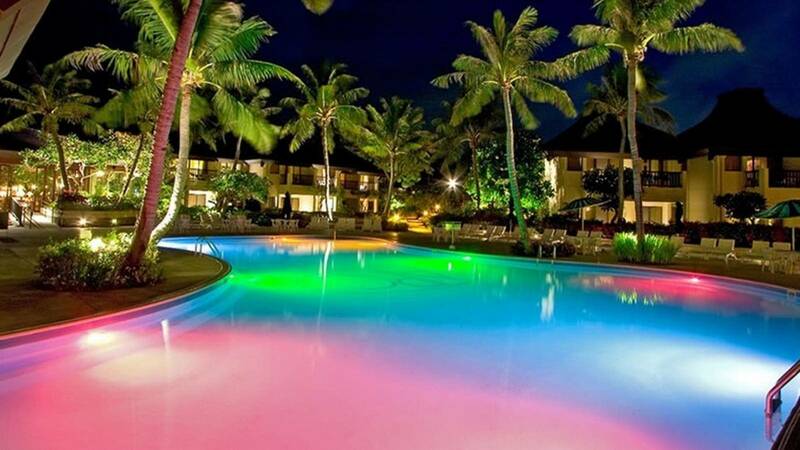 We call this scene “boogie lights” for the fast and free way it mixes color and retro-themed design. The perfect look for a city apartment, the room has eye-catching lighting with dramatic profiles, a soft and fuzzy rug under foot, and a colorful sofa and pillow set to excite the eye. And don’t forget the lava lamp, as stimulating and beguiling as ever. This living room shows off a sophisticated look that’s influenced by the subtle charms of French design style. From the sofa with the half-moon back to the satin brass finish chandelier overhead, the room has a lived-in, graceful appeal. Of particular note are the tables with sleek tapered legs. Find more styles to love in our Shop By Trend section. London is calling with this beautifully designed living room scene. 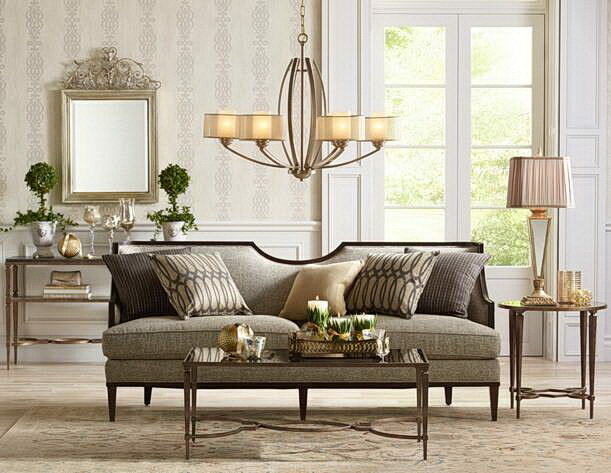 Classic and comfortable without being fussy, the English-style room features a slipcover sofa, luxurious armchair and elegantly appointed lighting. 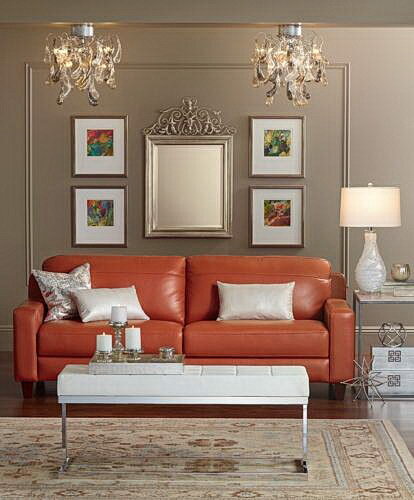 Decorating tip: use misty neutral color tones to convey relaxation and a sense of calm. Need a new look for a sitting area? Try accenting the space with easy-to-install Sure Strip wallpaper. Made in the USA, the wallpaper comes pre-pasted. All you do is moisten with a little water to activate the past and position on the wall. Even better, you can remove it by just peeling it off. 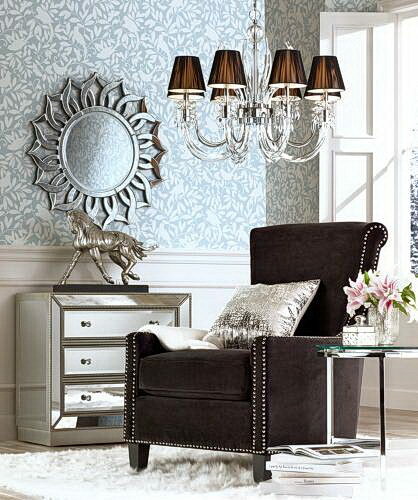 Add a mirrored chandelier with shades to complete the luxury look. We’re calling this room our city retreat. Like a classic Parisian pied-a-terre, this city apartment offers a calm oasis and haven from the daily hustle and bustle of the outside world. 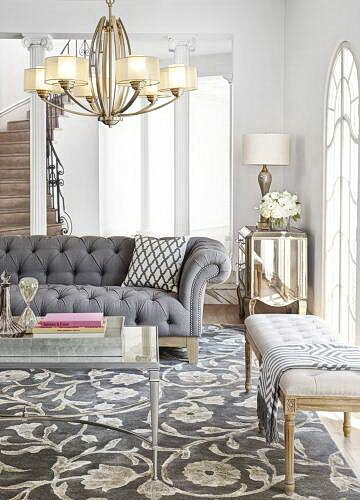 Gray-toned furniture and floor coverings keep the color palette in calmness, while a graceful chandelier brings in a bit of classic gold. Find more inspiration from France and the City of Lights in our Shop By Trend section. 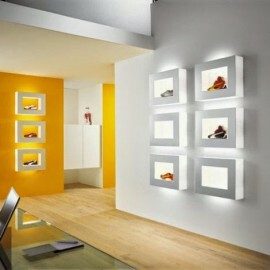 Today’s hot decorating look for urban apartments and small spaces is sleek, stylized and punctuated with pops of color. This living room uses glass-top tables to keep the space looking open and airy. An armless sofa bed does the same, plus transforms into a sleeping area for overnight guests. 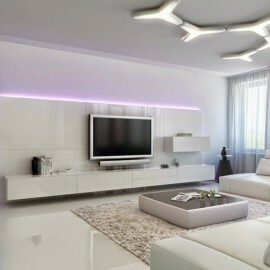 Lighting with interesting shapes and colorful wall art completes the room. This living room uses mirrored tables for glamour and sparkle. Mix in glass accents from the table lamp and the centerpiece bowl, and just a little bit of blue tone, and you have a classic room with star power. 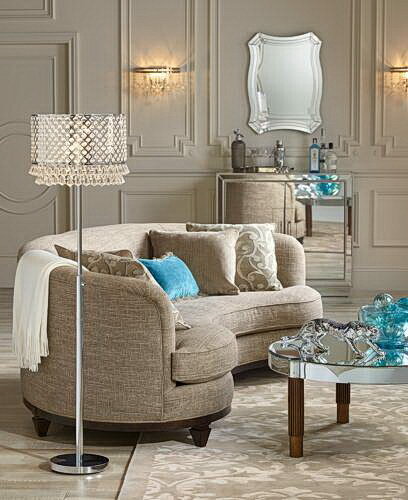 Find more mirrored furniture by browsing our complete furniture assortment. Every room could use a little dazzle. 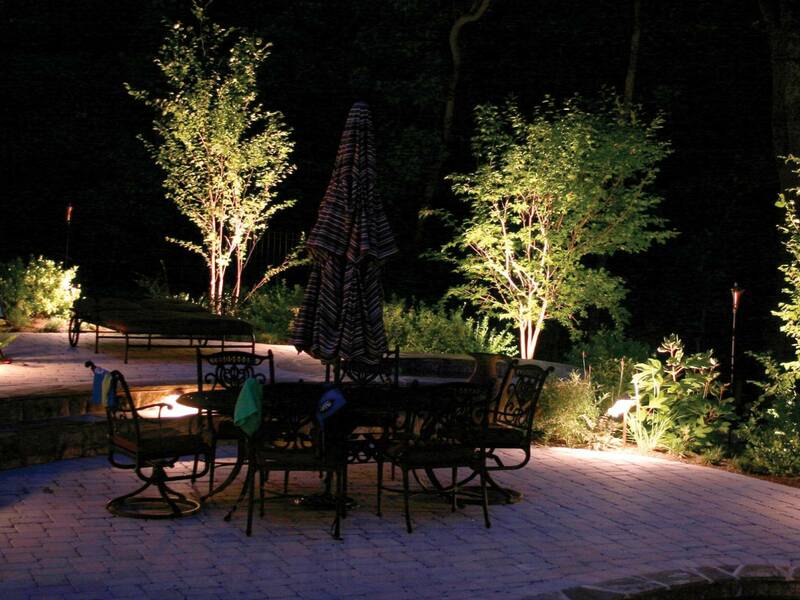 This seating area gets it through the use of a pair of glass element ceiling lights. 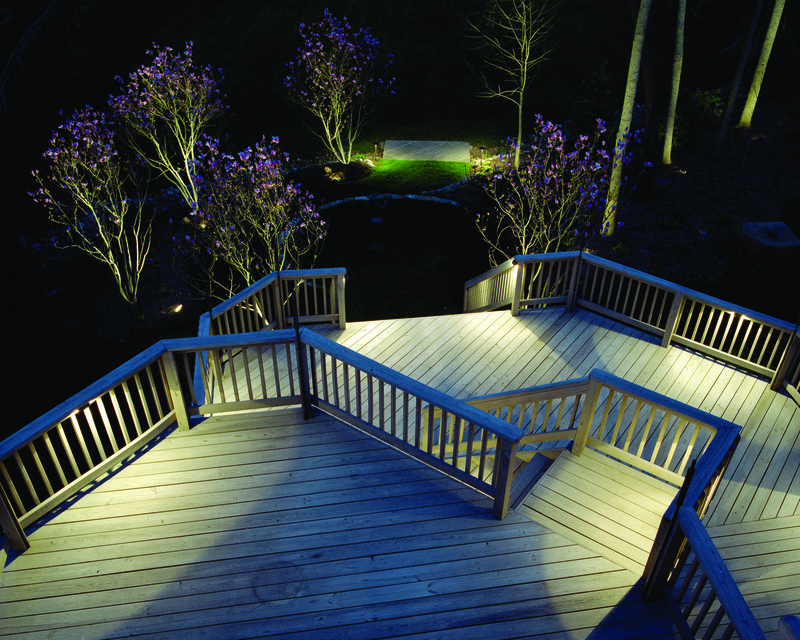 The playful form of the lights provides the glitter for the streamlined seating and leather bench below. And did we mention we love the use of the traditional arch top mirror? Custom made for us by Uttermost, it comes in a tarnished silver finish and adds just the right touch of sparkle to the wall. One of the great virtues of mid-century modern design is its elegant simplicity and fuss-free attitude. This room captures the spirit of the style with low-slung seating, soft fabrics, and warm wood tones. And because every home needs a little eye-candy, the designers have opted for sculptural ceramics and a sunburst wall mirror. 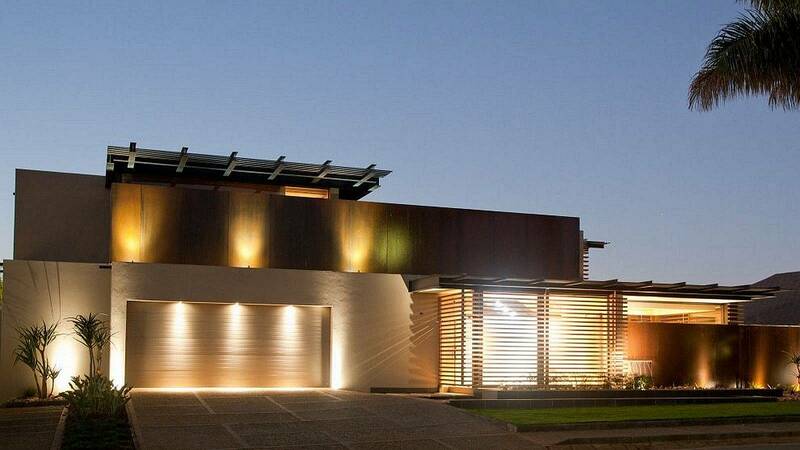 Visit our Shop By Trend pages for more modern inspiration. 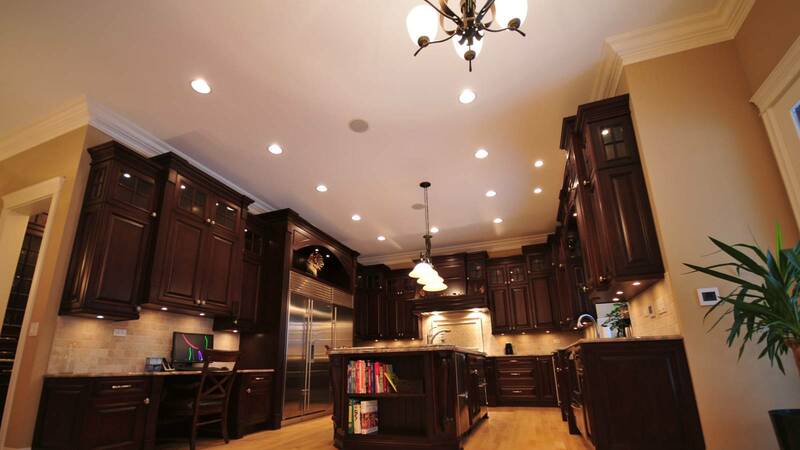 We love using the same color tone in a room in multiple ways. 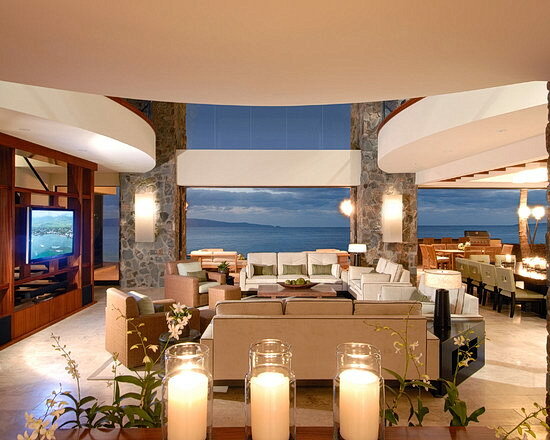 Case in point, this luxe living room. It uses gold-toned finishes, fabrics and textures to turn a raw space into an attention-getting blockbuster. We especially appreciate the backless chaise, which comes in an alluring champagne fabric and has right-in-style rolled arms. Inspired by classic sitting rooms, this seating arrangement offers a gracefully balanced symmetry. 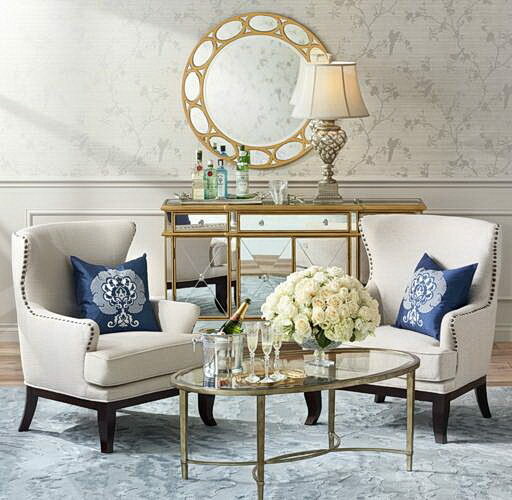 A pair of arm chairs with nail head trim define the area, which is anchored by a mirrored side table and a gloss top oval coffee table. Sophisticated yet never stuffy, this is the ideal space to entertain and unwind with friends and loved ones. Discover more trend-setting style in our Shop By Trend section.